As fall approaches, Jews throughout the world prepare for a unique ten-day period of prayer, self-examination, fasting, and repentance. It is time for the Yamim Noraim, the Days of Awe, the High Holy Days: Rosh HaShanah and Yom Kippur. These holidays are preceded by a month of reflection: the Hebrew month of Elul. During this time, worship includes special penitential prayers and concludes with the blowing of the shofar as a reminder of the approaching season of atonement. In some communities, this is also a time to visit the graves of loved ones. 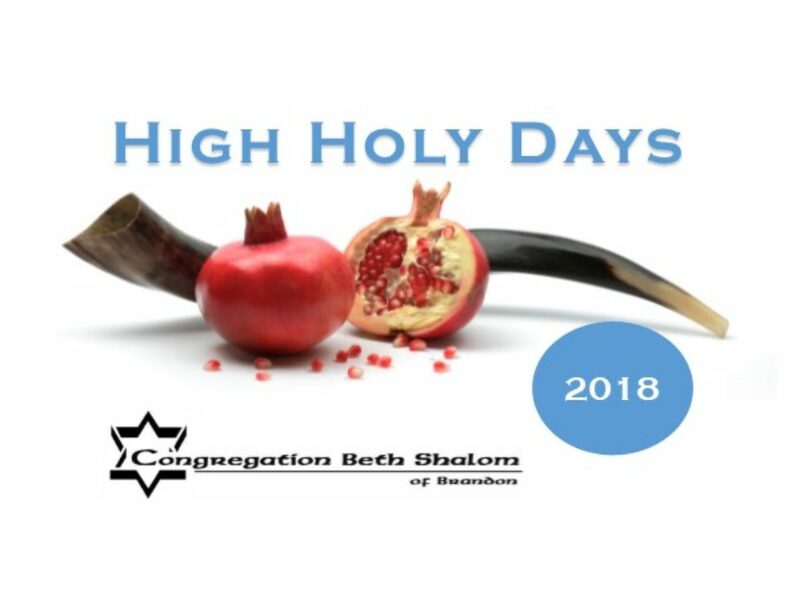 We hope you will choose to spend the High Holy days with us, this year – whether it’s Rosh Hashanah or Yom Kippur or both! Contact the Temple Office by email at cbs-admin@hotmail.com or call us at 813-681-6547.